In part, the ability to imagine a better future for ourselves, our loved ones, our communities, and our colleagues, teams and organizations is what makes us human. It’s such an essential aspect of leadership, I encourage you to develop that “leadership muscle” by spending more time dreaming, brainstorming and thinking about what might be possible, especially at work. Most leaders I coach/consult spend nearly all of their time in execution mode – getting stuff done. 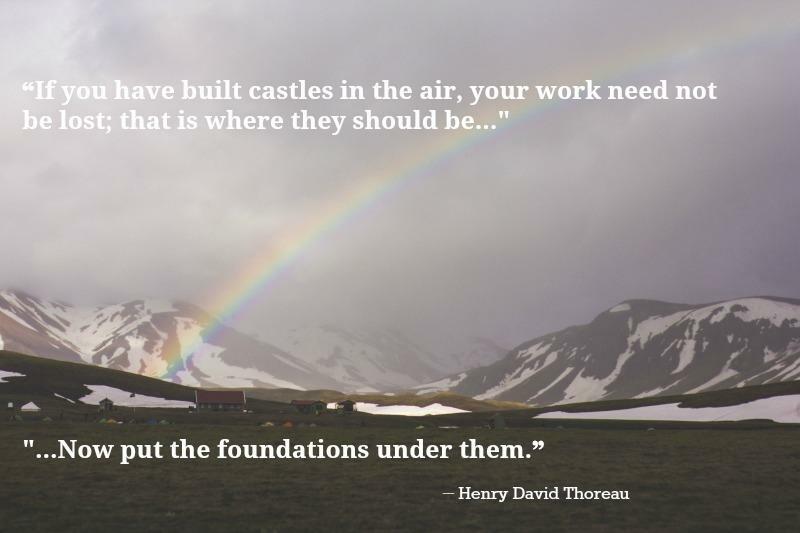 Putting “foundations under” those big dreams, to deliver results, is vital to success, of course. Yet, I meet very few who wouldn’t benefit from spending even more time envisioning what’s possible…for their organizations, their customers or clients and the people who serve them. Want to enhance your ability to work with more vision and purpose? Check out The Leadership Laboratory coming up soon!